Nominations for the 2019 Buckley Awards are now open! Do you know a young leader who believes that free markets and limited government better the lives and happiness of all and who has made it a mission in their life to advance these values? Help us to celebrate the courage, service, and dedication of these liberty-minded young professionals by nominating a leader that inspires you. Nominations must be made by midnight ET on April 19 (deadline extended from April 15). 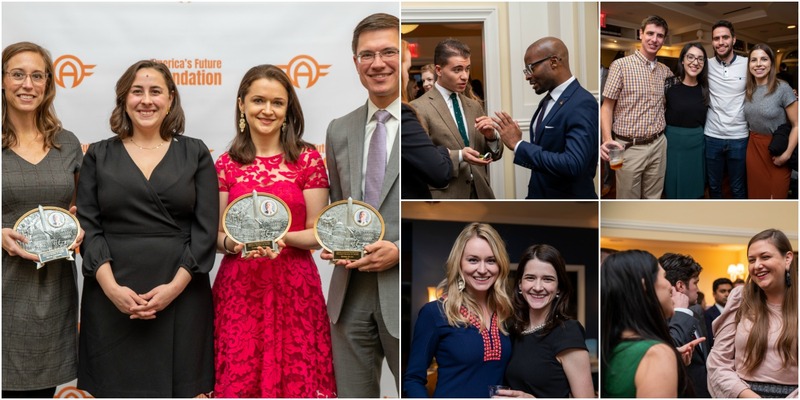 The awards will be presented at the 2019 AFF Annual Gala, which will take place on May 23, 2019, at Nationals Park in Washington, DC. Given in honor of William F. Buckley, Jr., The Buckley Awards recognize outstanding young professional conservatives and libertarians for their above-and-beyond service to advance freedom in their cities, states and across the country. Previous winners include leaders such as: Adam Josefczyk of the Forge Leadership Network, Peter Redpath of the Federalist Society, Katie Pavlich of Townhall, Yuval Levin of National Affairs, Mollie Hemingway of The Federalist, Carrie Sheffield of BOLD, and many more. See the full list of previous winners and learn more about the history of the Buckley Awards here. Nominate a leader who inspires you!